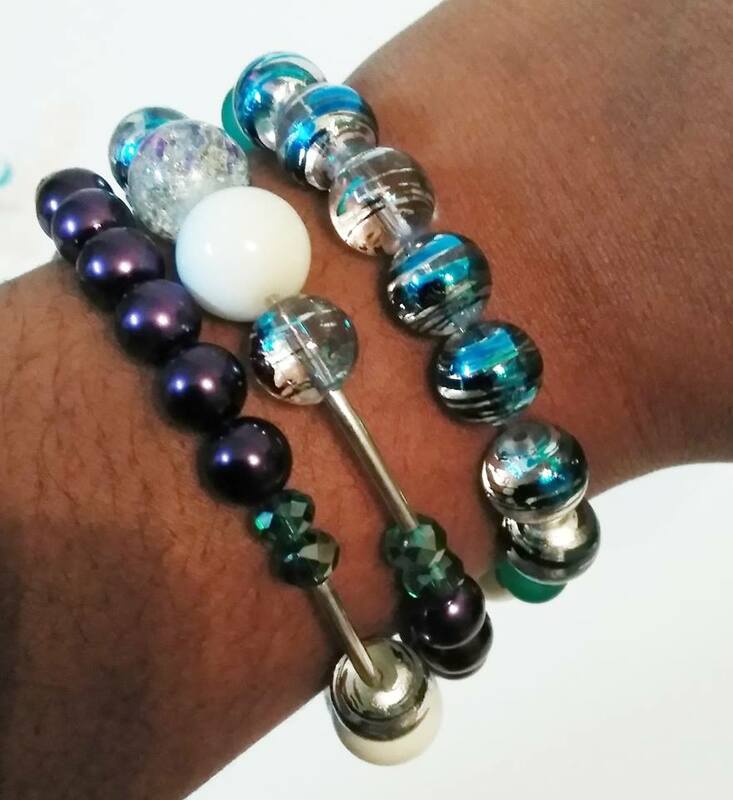 Add another dimension of style to your wardrobe with a mixture of white, turquoise, and purple bead colors. 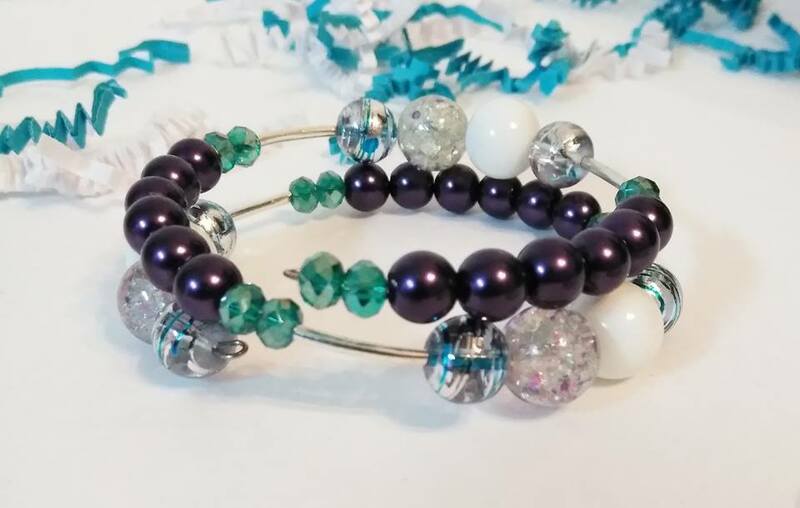 This set includes 1 wire wrapped bracelet and 1 stretch bracelet. 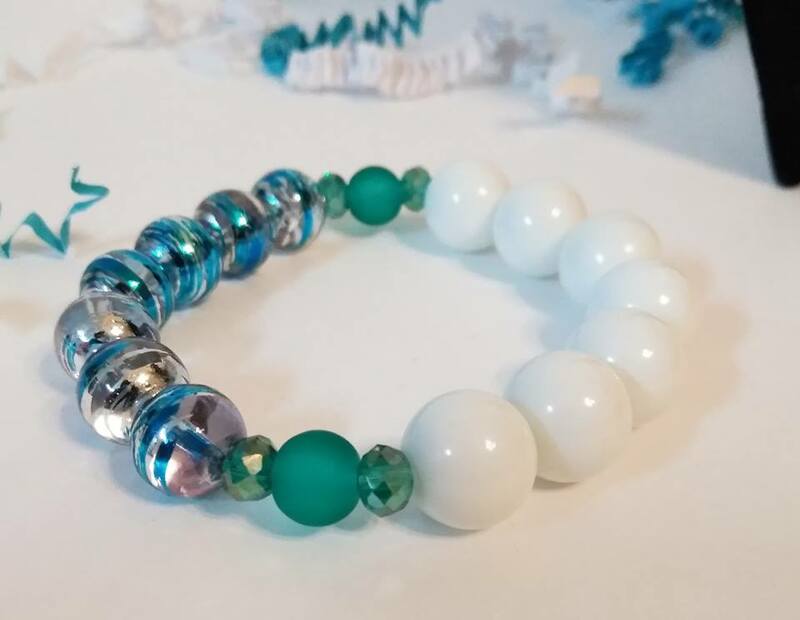 The stretch bracelet is approximately 7 inches in diameter. (P.S. 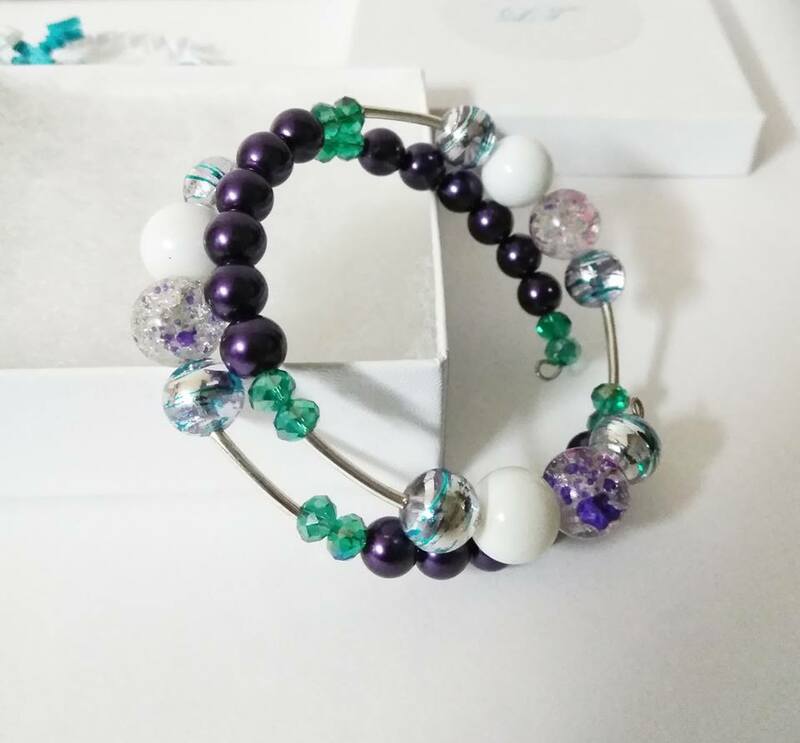 We have only 1 bracelet in this style). 3 to 5 day shipping has been included with price.